Dejana’s been in the mortgage industry for seven years ranging from the lending world to the appraisal management sector. She has focused on helping people for 15+ years and always strives to provide exceptional customer service, attention to detail and problem-solving abilities. Whether you’re a first-time home buyer, looking to trade up, deciding to downsize, or simply wishing for a change, she can help you before you ever make an offer on a property. She will sit down with you and look over your budget, income and savings, helping you get a clear picture of what type of loan best fits your needs. Dejana loves spending time with her family, friends and Great Pyrenees puppy, Bear. She has lived in NY, MI, CA and then landed in NC in 2016. She loves taking her dog to Jetton Park, trying new restaurants, and finding venues with live music. She loves to enjoy all the little things in life! The financial aspects of home buying can be stressful and overwhelming—but they don’t have to be, not with a trained and caring professional like Dejana in your corner. 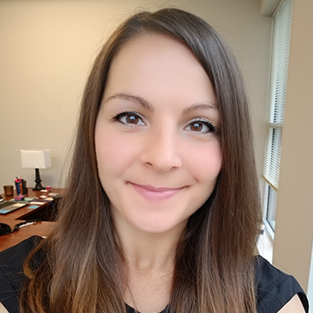 Contact her at dejana.veseli@summitfunding.net or (704) 895-8770 Ext: 2306 to get started on making your home-ownership dream come true.